probably focused more on news than editorial stuff. but the contents just have to be pertaining to technology. Seems like this new little app called Eventbox is getting all kinds of hype right now, so I figured I’d check it out to see if it’s worth the $15 that its developer, The Cosmic Machine, is asking. While the functionality of an application is probably its most important aspect, in Eventbox’s case, it’s where it falls short. Eventbox tries to position itself as a place that brings together all of your friends’ online social postings for your to view in one spot. It’s essentially an RSS feed aggregator for social activity. 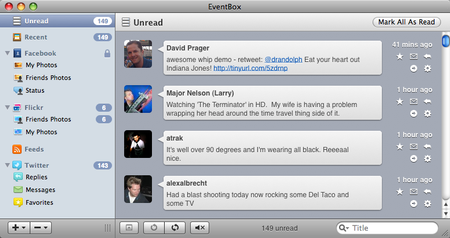 As of v1.0, Eventbox supports gathering data from Facebook, Twitter, Flickr, Reddit, and RSS feeds. While I’m all for what aggregators do (Google Reader is probably my most visited bookmark), there are far superior alternatives to Eventbox. Maybe if it supported more sites, although I can’t think of too many more that interest me, Eventbox would seem more necessary. Feed aggregators are necessary because people read hundreds of site’s postings, but as far as activity postings go, I only really need Facebook and Twitter. Two sites don’t warrant a dedicated app that can’t replicate each site’s full functionality (Facebook is about a bit more than status postings). FriendFeed, Netvibes.com’s widgets, or any number of other online apps do Eventbox’s job with much more finesse. Now that you know how ridiculous I think this app is, here’s how incredible its design is. 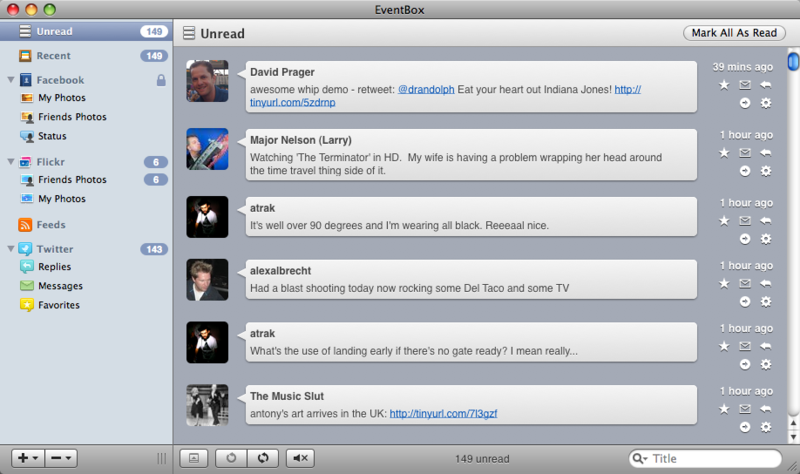 In all honesty, Eventbox is a shining example of why people get hooked on Macs when they switch from PCs. The icons, the layout, the styling of its various animations, and the flow of moving through the app all contribute to something that looks and works perfectly. I really wish that Eventbox had more of a purpose because it’s such a joy to work with. I hope it’s pretty clear how I feel about Eventbox. It’s a beautifully designed application that I have no use for. There is praise coming from all around, but I can’t sing the same tune. I love Facebook, Twitter, Flickr, and the rest of the social networking sites, but I already have a browser, and my homepage (Netvibes.com) already puts those sites together. 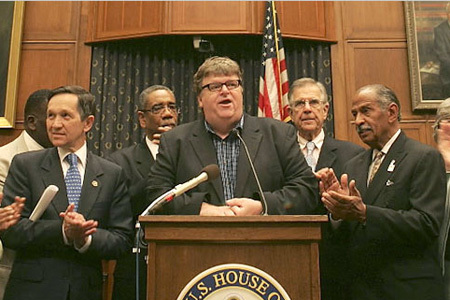 I, probably like everyone else in the world, find picturing Microsoft without Bill Gates rather hard. 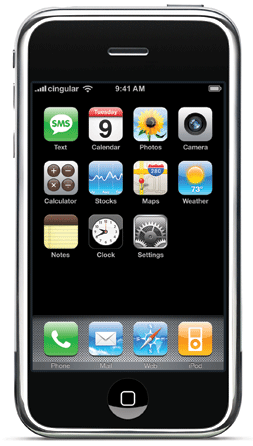 Bill Gates is the face of Microsoft even more than Steve Jobs is the face of Apple (the iPod is Apple’s face). But as iconic as one of the richest persons in the world is, that doesn’t change the fact that Bill Gates will be stepping down from his position as CEO of Microsoft in July to take on the full-time responsibility that the Bill and Melinda Gates Foundation demands. Can anyone say cameo? And talk about getting your money’s worth. I didn’t count, but there are probably around 10-15 semi/full-blown famous people in that 6 minutes clip. Regardless of the fact that Bill can obviously get anyone in the world to do anything for him, this video was a nice piece of comedy that shined above what usually amounts to loads of geekery at events like CES. It’s sad to see such an outstanding innovator leave the industry, but there is little doubt in my mind that the work that he will do with his and Melinda’s foundation will rival what he did at Microsoft in terms of positive impact on the world as a whole. 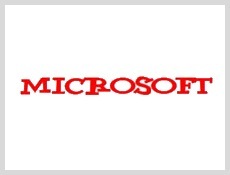 As for the rest of the keynote, he and his Microsoft helpers did announce some interesting technologies, most importantly the broadcasting of the 2008 Beijing Summer Olympics online with their Silverlight technology, but nothing really held up to the intro video. Even the Guitar Hero with Slash finale, it all seemed kind of lackluster when compared to the fact that an era of technology leadership is ending and that another is about to begin. 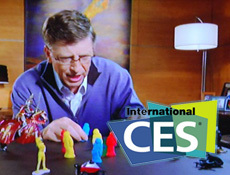 Addressing the CES conference, I probably won’t be covering any of it unless some product really jumps out at me. 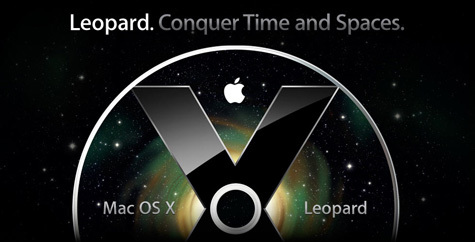 As for the Macworld conference, I’ll probably be all over that (even though I can’t go this year).